If you’ve opted to vacate in the charming city of Turunc, and you want to see all of its treasures and perks, you definitely shouldn’t miss Turunc Dolphin Show tour. 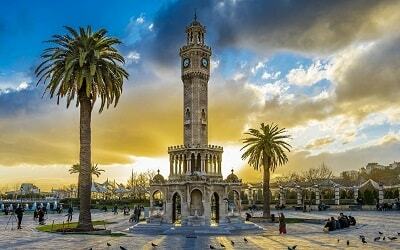 This terrific tour will give your holiday vacation a whole new quality and it will make it unique and memorable. 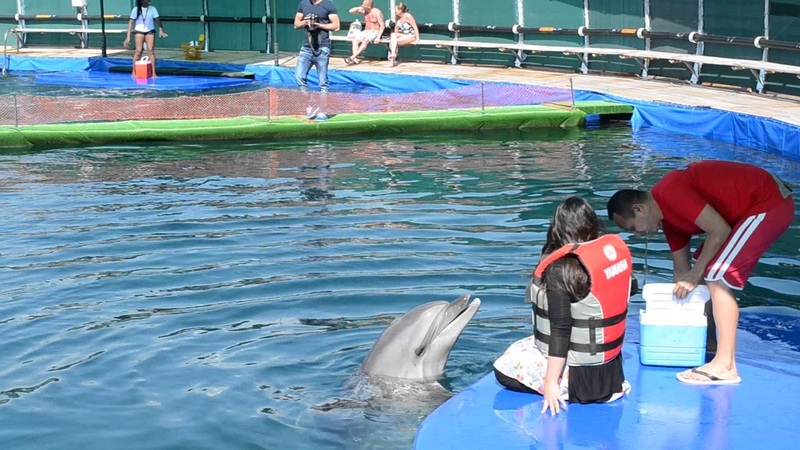 Turunc Dolphin Show Tour starts with a free pick-up from your hotel in Turunc, followed by a short and comfy drive to the Dolphin Park in the gorgeous city of Marmaris. This terrific program will give you a chance to spend 20 minutes watching the dolphins play in their simulated environment, after which the show ends and we will leave the facility, so other visitors can look at this marvelous show. 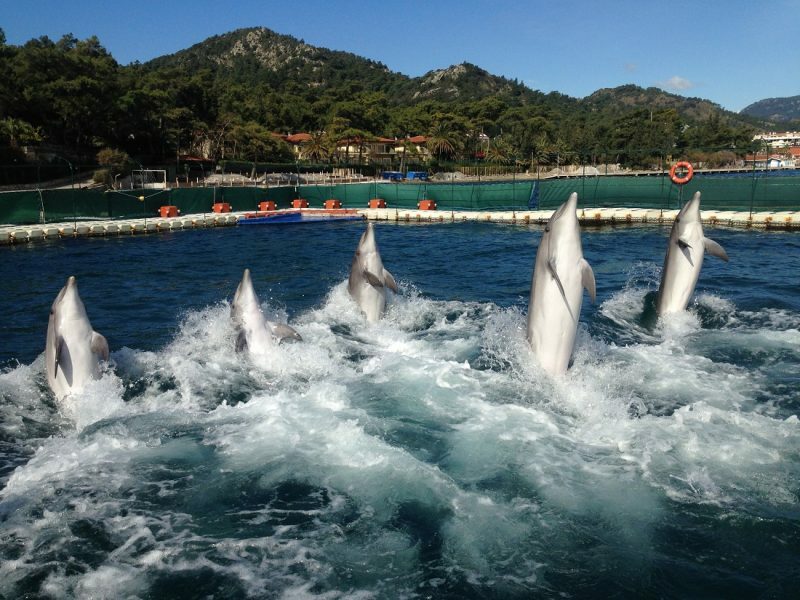 If you have any questions or concerns, the helpful staff of the Marmaris Dolphinarium will gladly answer them. Don’t forget to bring your cameras. 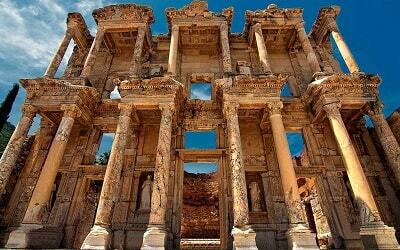 This great tour is suitable for all age groups and it is available for reservations every day. Rather then a show you can name it as educational presentation (show like) and the best thing about this organization is you will be sitting very close to those animals and watch their show while our instructors will give you information about these beautiful creatures. 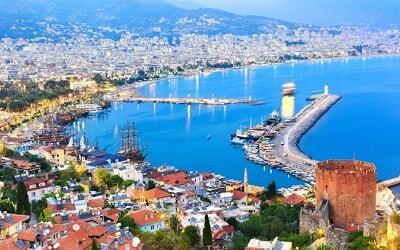 The price of the tour covers just one way transfer from Turunc to Marmaris, please note that at the end of the show you have to make your own way back to Turunc. Don’t miss this great opportunity to meet these amazing creatures. 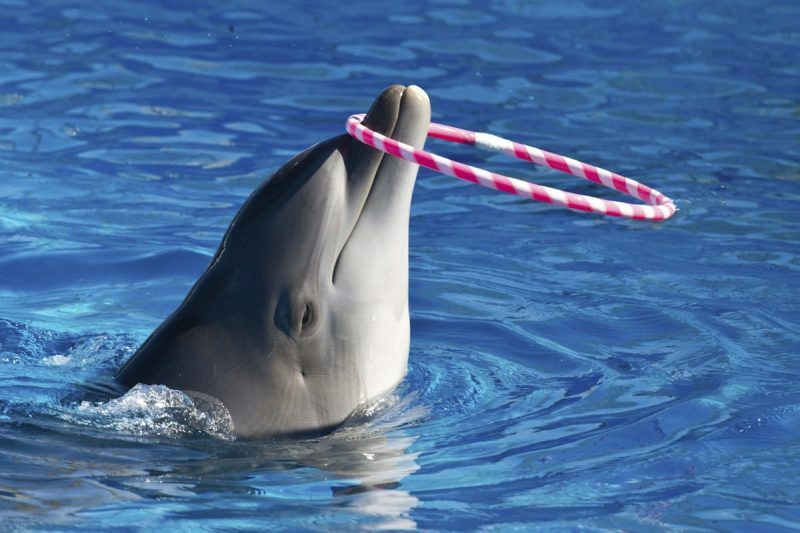 Reserve your spot on Turunc Dolphin Show and you won’t be sorry. Dolphins are amazing and very intelligent creatures. In fact, scientific researches have shown that dolphins are as smart as apes, which is a mind-boggling information, if you think about it. Brains of these amazing creatures have evolved through time, and today their brains are very similar to our brains. They have their own sound-language, their way of preserving energy, and they are astoundingly quick learners. They live in groups and hunt and play together, so they are very social animals. These great and smart mammals have an uncertain future, because humans are their natural enemies. Fishing, hunting and pollution are the leading reasons why some dolphin species are the brink of extinction. Meeting these lovable creatures up close and personal, can be a great reminder to us all that we should take care of our natural surroundings better and be more compassionate and caring to the animal world as well. 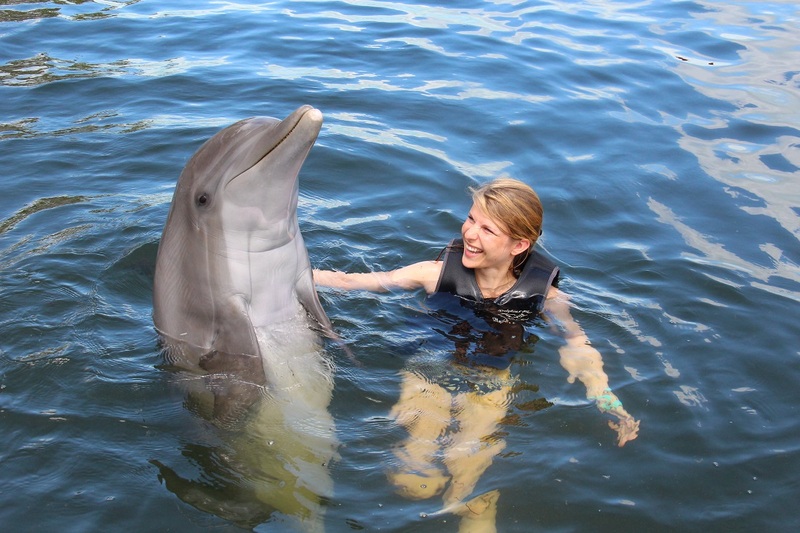 If you let it, this tour will make you a better person and meeting the dolphins can be an enriching experience. 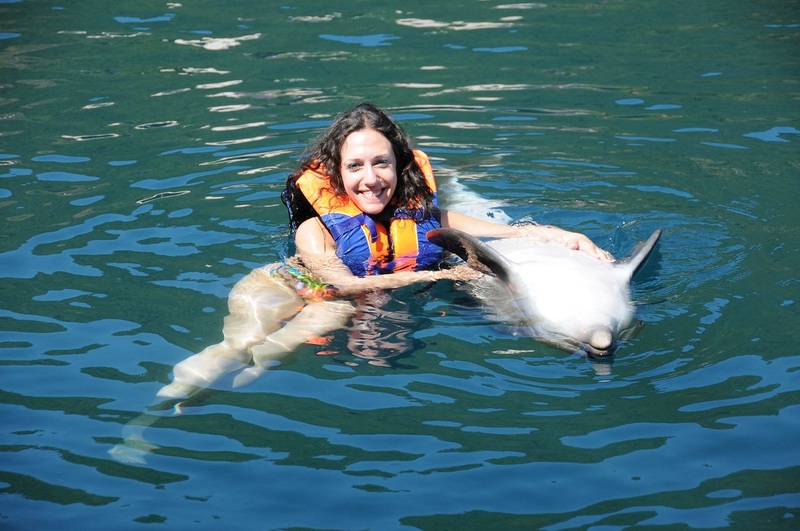 If you like Dolphin Parks don’t forget you have also Swim With Dolphins option from Turunc. Turunc Dolphin Show Tour starts with a complementary pick-up from your hotel, followed by a short and cozy drive in our cozy bus. 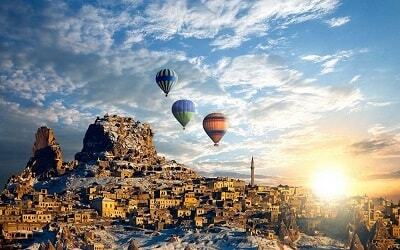 The transfer is free of extra charge, as it is included already in the primary tour price. 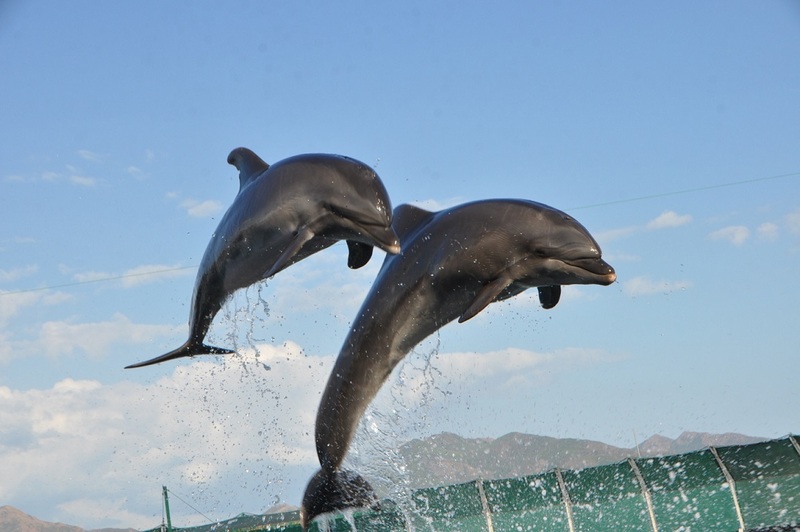 Once we reach the fantastic Dolphinarium, you’ll get a chance to watch the dolphins play, jump and have fun in the pools. You will be seated poolside, which will allow you to see these terrific and friendly creatures up close. You will get to see them dance, jump and sing. They are great performers and they always aim to please the visitors and cheer them up. You can carry your own video camera and record this amazing and unique dolphin show, so your family and friends can see where you’ve been. 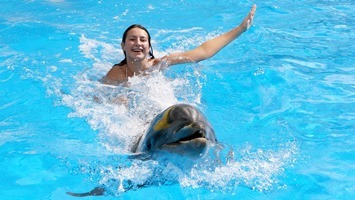 After the show, we will leave the Dolphinarium, so other visitors can take our places and see this lovely show as well. Don’t forget to bring your cameras. 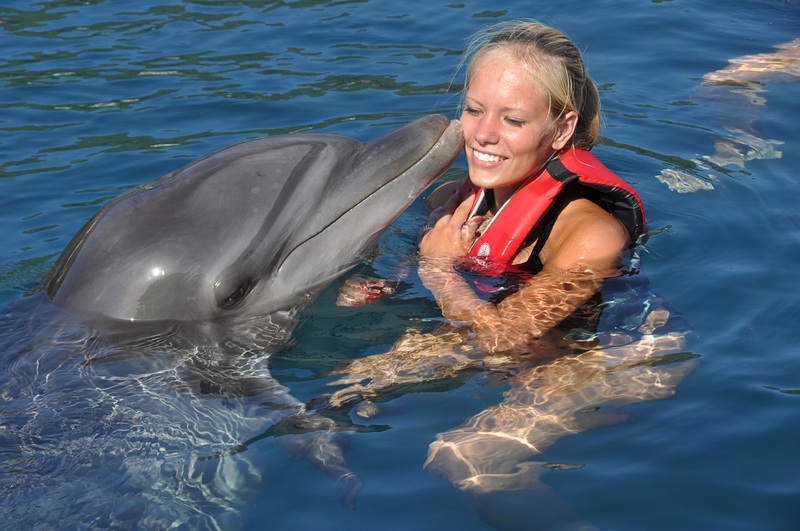 This great and enriching tour is created for all age groups, even young children, as you don’t have to fear for your security because the dolphin trainers employed at the Dolphinarium are very skilled and experienced, and they make sure that the visitors are safe, as well as the dolphins. 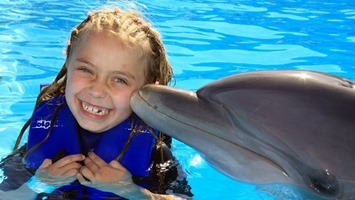 They will also be at the pool with you throughout your session with the dolphins, and they will answer all of your questions and concerns, if you happen to have any. Once your session with the dolphins is over, our driver will pick you up in front of the Dolphinarium and take you to the bus station. From there, you can catch the next bus back to Turunc.